I bought some peaches at the market the other day, so naturally I made a peach pie. This dessert has got to be my favorite, and out of all the pies, it's at the top of my list, next to blackberry of course. The only some what complicated part about this recipe is the crust. It's not that it's hard, it's just a bit tedious. And to be quite honest, I don't think you can fully say you are making a pie if you're not making the crust. If you do it right, a homemade pie crust is mouth watering good. I use the Joy of Baking peach pie recipe (here). It is a great recipe, I just alter it a little, adding and cutting here and there. Minor details. Mix your dry ingredients in a large bowl. Make sure the bowl is big enough for you to get down and dirty with your hands. 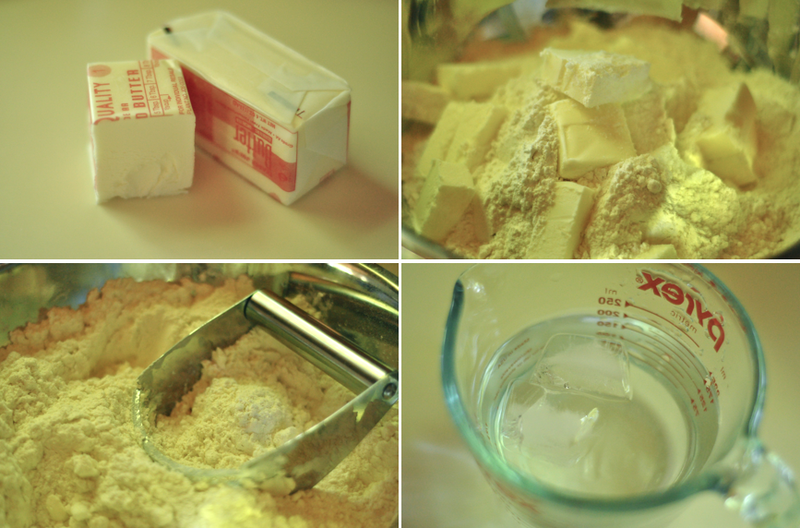 Once the dry ingredients are whisked together, cut the cold butter into cubes and mix, using a pastry cutter. You'll want to cut the butter and flour together until the texture is grainy. Then pour in the chilled water (I always add ice cubes to my water). At this point you'll want to abandon the pastry cutter and use a spoon or your hands. You don't want to knead this kind of dough, or it will end up hard. You just want to press it into a ball, so it holds together. Separate the dough into balls and smoosh all that buttery goodness together. I made a larger batch, so I had four balls. You'll end up with two with this recipe (top and bottom crusts of pie). Once they are in little balls, you're going to need a few zip-lock bags. Put each into a bag and refrigerate. When bagging, I find it easiest to slip my hand through the bag, while it's inside out and pick up each ball, pulling the bag right side out over it. That way you avoid the crumbly dough getting everywhere while trying to pick it up and then put it into the bag. 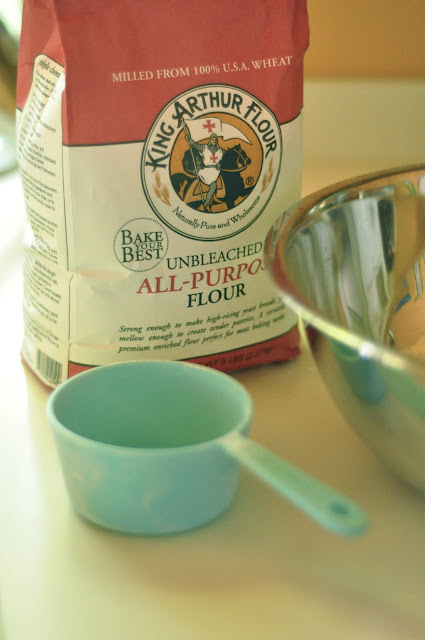 Refrigerate the dough for at least 30 minutes. You want the dough to hold it's shape when you roll it out. Meanwhile, get your peach filling ready. A personal note on peaches and pies: I think it is absolutely not worth it to make a pie from canned peaches. Don't do it, ever. Canned peaches do not soften right, they seem to always remain in their little canned crunchy form and basically make a lame pie. 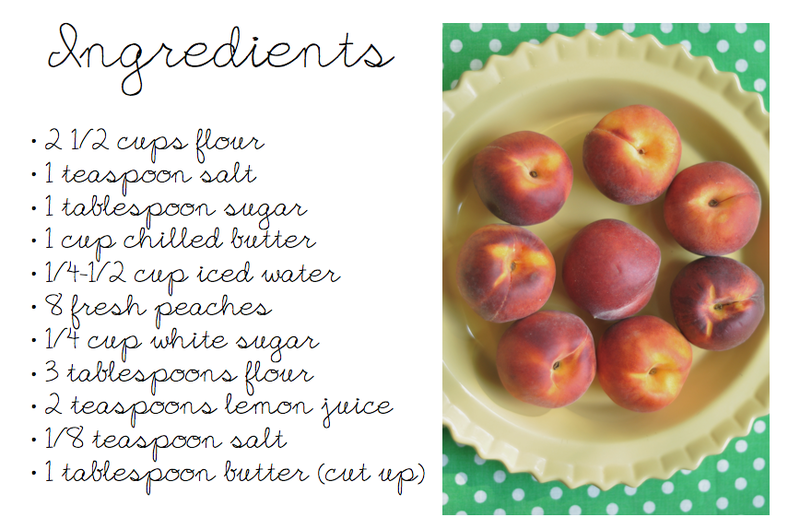 In other words, never make peach pie unless peaches are in season and taste deliciously fresh. Back to the recipe! I like to take the skins off my peaches. 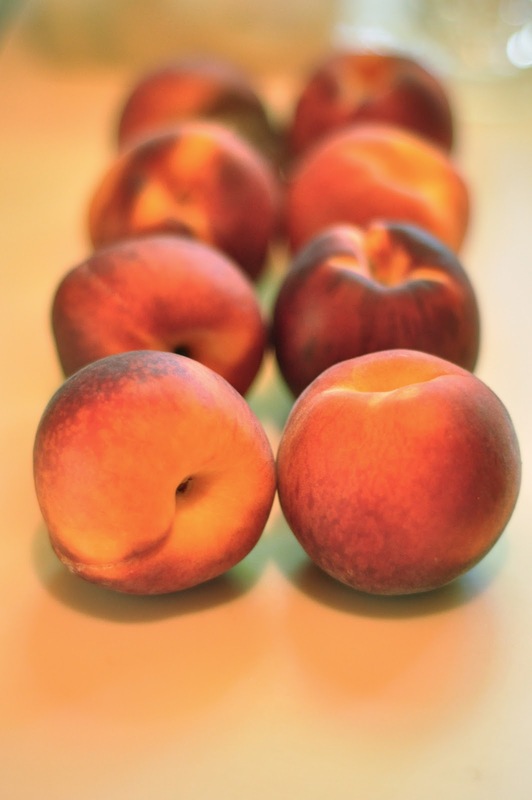 To do this, you must boil each peach for 30-60 seconds (depending on how ripe they are) and then toss them in cold water to stop the cooking process. This will also help ripen harder peaches. You'll notice the skins will just fall off if you've boiled them for long enough. I do notice that the area on the top closest to where the stems are needs slightly more cooking because it tends to be harder and therefore not as easy for the skin to peel off. So I roll the peach over and let that area boil longer than the rest. Once the skins are off, slice the peaches into a bowl and add the sugar, lemon juice, slices of butter, salt and three tablespoons of flour to thicken. I like to add a dash of cinnamon for flavor, but that is optional. Once that's all mixed together you can get to your dough. When rolling out, it will seem very hard at first, but once you get going the dough will soften up. I roll out the bottom layer first, then mold it into the pie pan and refrigerate it while rolling the top out. I find it to be of utmost importance that the dough stays cold. 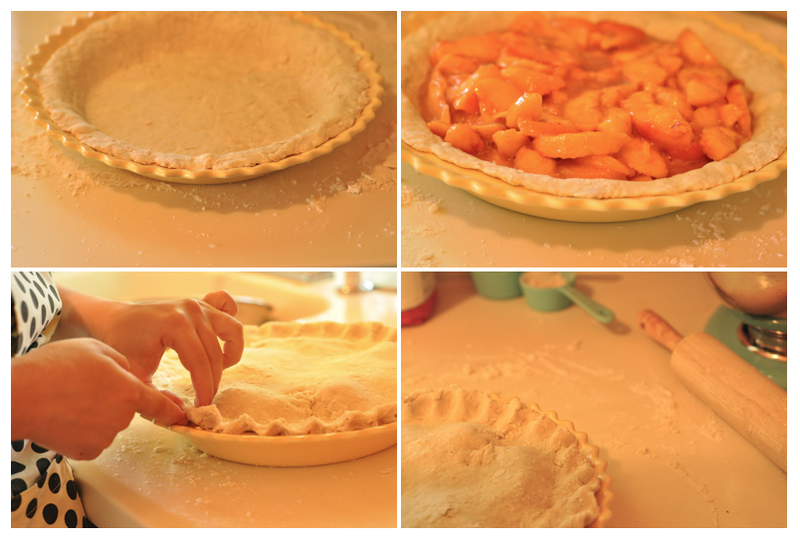 Toss the filling into the pie shell and cover. Shape the crusts (it's super easy to just use a fork and press down, but if you want to get fancy use your fingers). You're going to want to garnish the pie dough in order for it to have a pretty sheen. I use a bit of milk or cream, spread it all over and the top crust and then sprinkle a small amount of granulated sugar. Cut a few slits in the center of the pie so it can breathe and toss in the oven for 45-60 minutes. Each oven has it's own temperament so watch your pie and figure out it's timing. The pie is done when the crust is a deep golden brown and the juices are bubbling. If you think your crust edges are getting too dark but the pie still needs some more cooking time, cover the edges with foil. 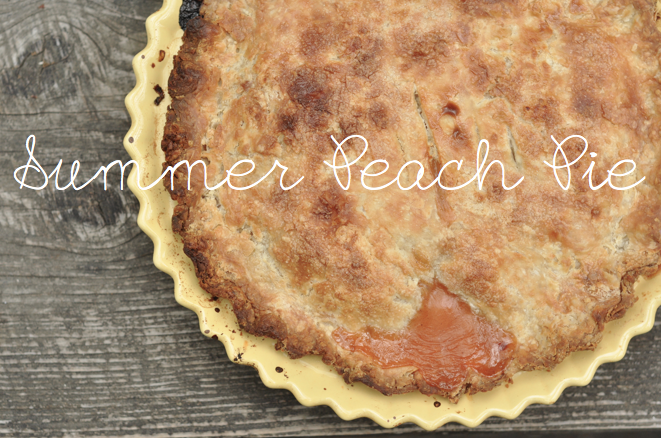 And there you have it, a scrumptious summer peach pie to add to your picnic menu or to simply devour all by yourself in front of your tv late at night. Take your pick, they both sound like wonderful ideas.